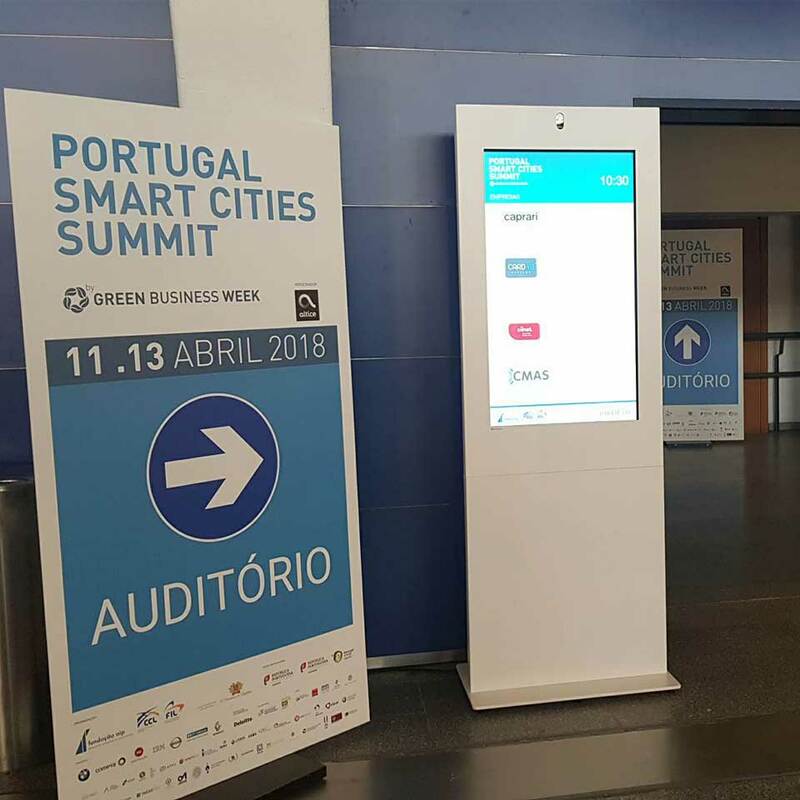 The PARTTEAM & OEMKIOSKS company was present from April 11 to 13, 2018, at the Portugal Smart Cities Summit, event by Green Business Week, at the Lisbon Congress Center. 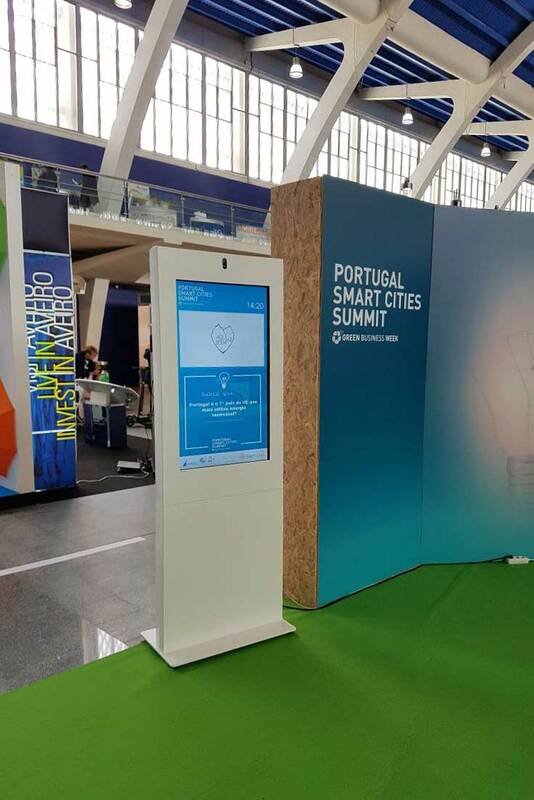 The Portugal Smart Cities Summit was an event that brought together opportunities and exhibitions, conferences and networking, sharing knowledge about all sectors that involve the emerging concept of Smart Cities. 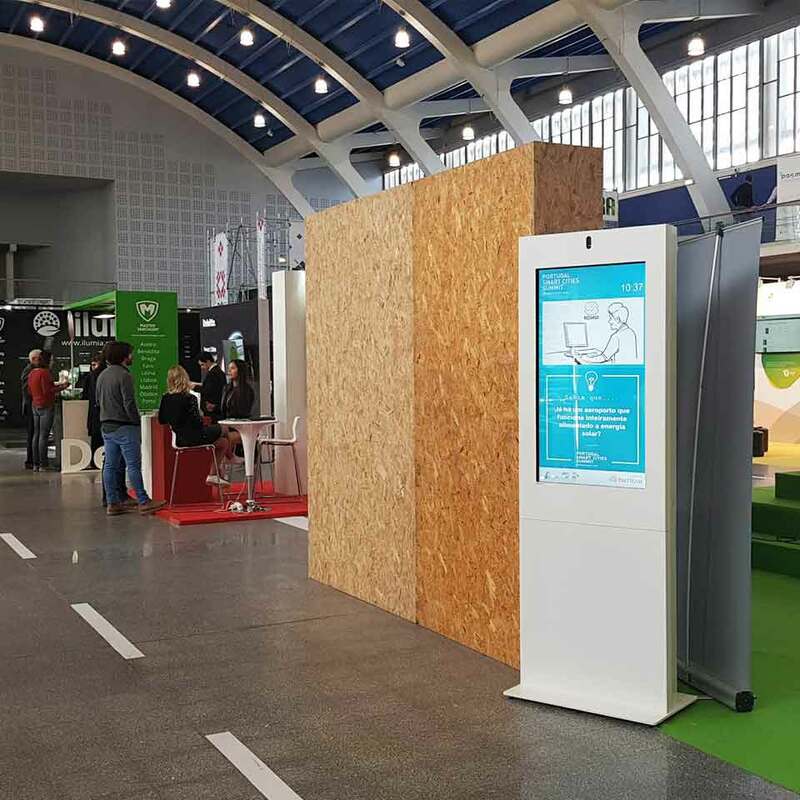 Scattered throughout space were the digital billboards with QMAGINE SIGN and YPORTAL software, and the interactive tables of PARTTEAM & OEMKIOSKS, providing information to visitors. 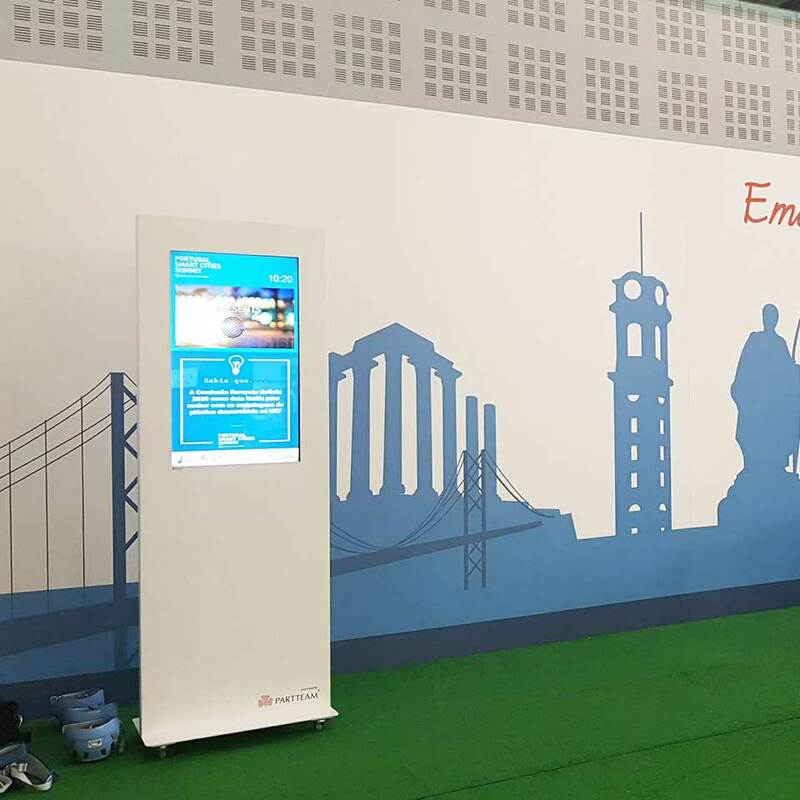 Several representatives from almost all 308 municipalities of the country were present, including exhibitors at the fair, conference participants or visitors to the technology show. Society is changing and citizens have other needs. It is urgent that local governments modernize and replace their existing public communication structures. 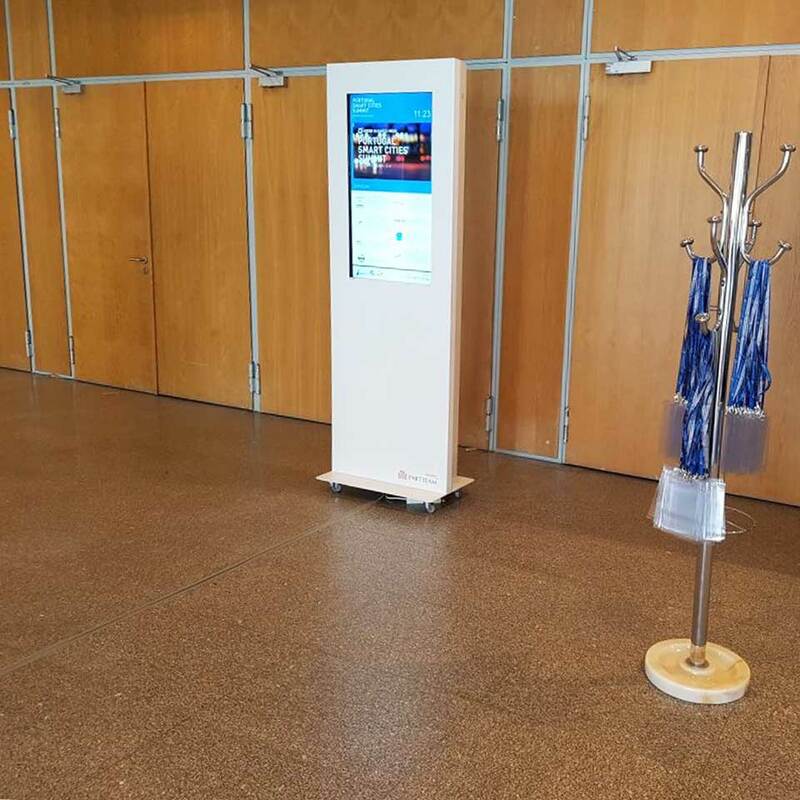 On April 13, Miguel Soares, CEO and Founder of PARTTEAM & OEMKIOSKS, was also present at the event, having been invited to present a brief pitch with some of the technological solutions of the company. 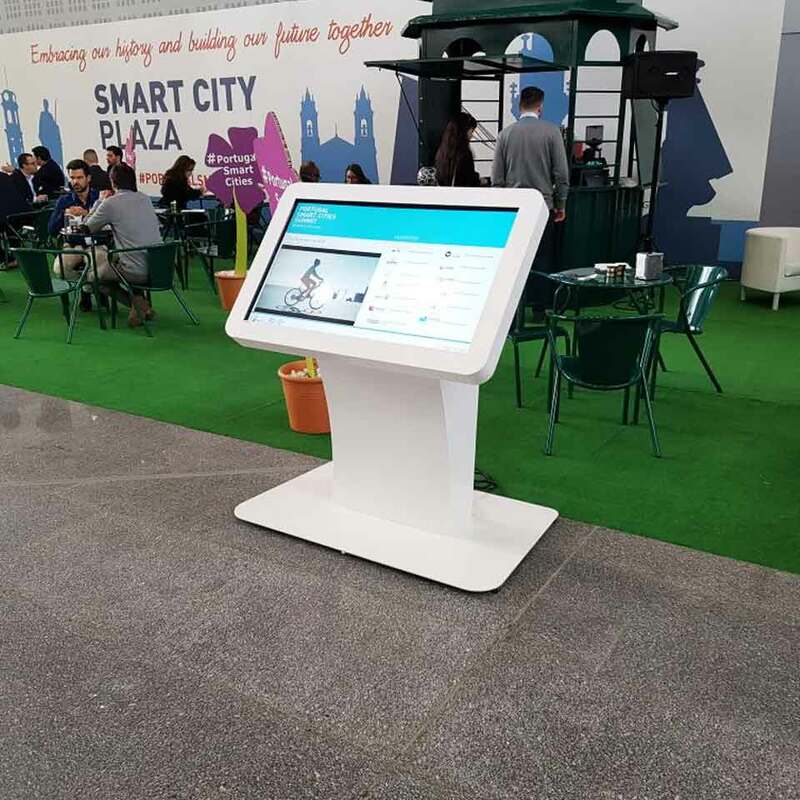 The moment was important to strengthen ties with the different players in the market, create synergies and get to know other examples, as well as establish new contacts with various companies and institutions that are developing other solutions for the Smart Cities. 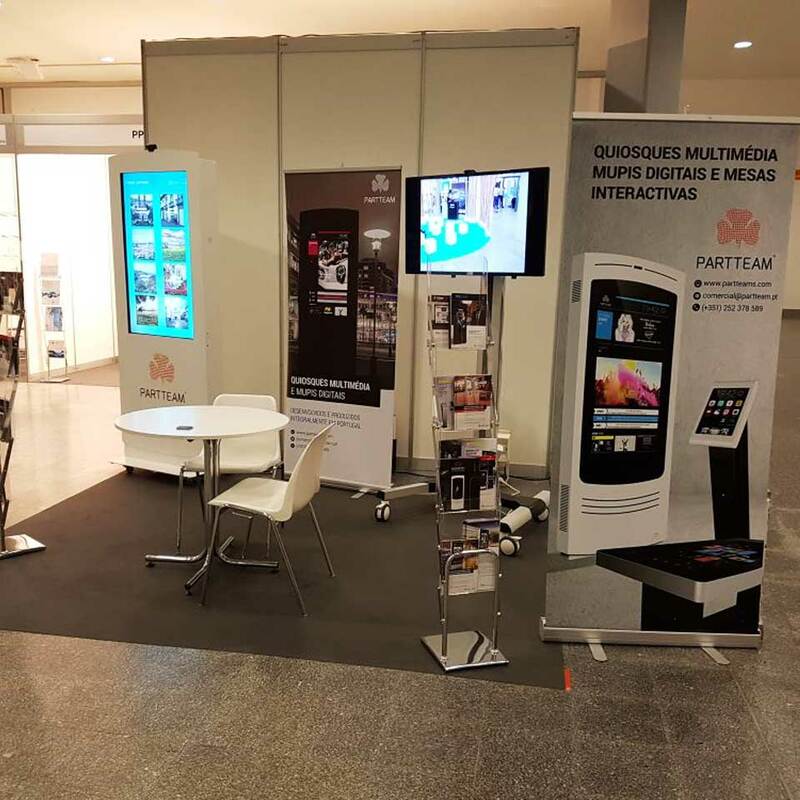 Innovation is essential and PARTTEAM & OEMKIOSKS knows that each project meets a different need. 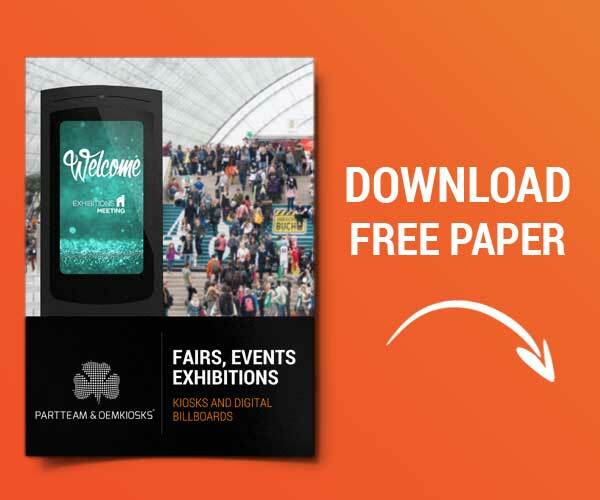 Adding value together of all stakeholders of PARTTEAM & OEMKIOSKS, is one of the main purposes that lead the company, to be present in these events.